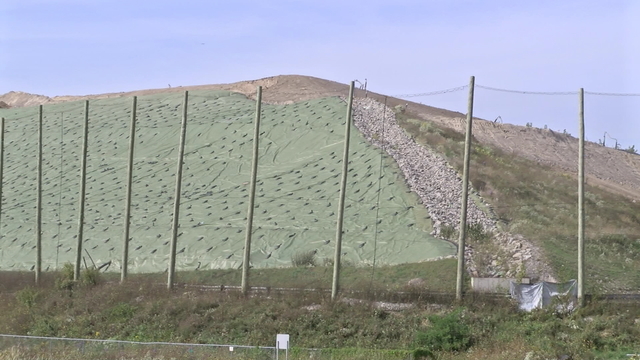 Construction at the Ontario County landfill continues to plague communities around the facility in the town of Seneca with odor. On Thursday, the county Board of Supervisors will vote on hiring a consultant to assess “means and methods” being used to manage the stench. Landfill manager Casella Waste Systems blames the reek on an exposed old liner and delays in installing a new system. “We want to review Casella’s operation,” said Canadice Town Supervisor Kris Singer, who heads the committee overseeing the landfill. The committee recommends the full board approve hiring SCS Engineers based in Rockland County, a firm the county has hired previously in landfill matters. Singer said SCS is independent and not connected in any way to Casella, and she expects the board will approve the hiring for an objective assessment. SCS would be paid a fee not exceeding $22,500 from funds existing in the county Planning Department budget. Singer said county officials have been hearing from residents in neighborhoods around the landfill about the odor. Thanksgiving was particularly “ugly for people,” she said. Now with the holidays coming, she said Casella should be especially aggressive in containing odor. In a notice late last month, Casella stated it was waiting for approval from the state Department of Environmental Conservation to move waste into a new section of the landfill — thus allowing further construction that would contain odor. Singer said that in a meeting last week the committee learned Casella had begun to reduce the amount of sludge coming into the landfill by trucking it to other landfills. Casella reported the move was done to balance the volume coming into the landfill from wastewater treatment plants with the amount of trash. “If the trash volume is down, they need to drop down the sludge,” Singer said, adding the move is likely temporary and meant to help contain odor.